Remember recess? Release your inner child in this magnificent oceanfront getaway. 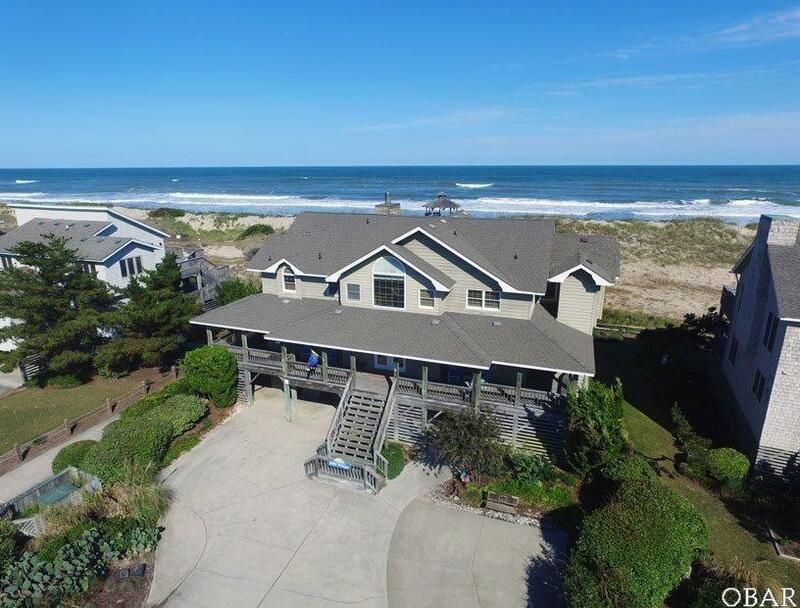 Enjoy the spectacular views of the Atlantic from the wraparound decks. Take a relaxing stroll on the beach or watch the waves roll in from the comfort of the Hot Tub. 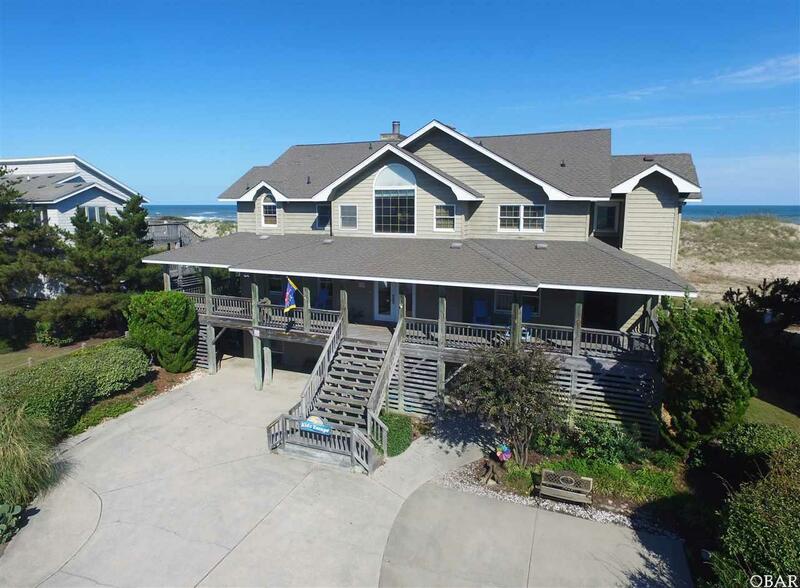 It's just a short walk to the oceanfront pool and other activities offered by Corolla Light. You'll feel like a kid again when you make this wonderfully designed and beautifully decorated house your family's vacation destination. On the ground level, there is a recroom with pool table, plasma TV/VCR/DVD, wet bar with refrigerator and microwave and a full bath. Bedroom with 2 singles and a full bath, laundry area with washer and dryer and an elegantly landscaped lawn with direct beach walkway access is also a place for family fun. 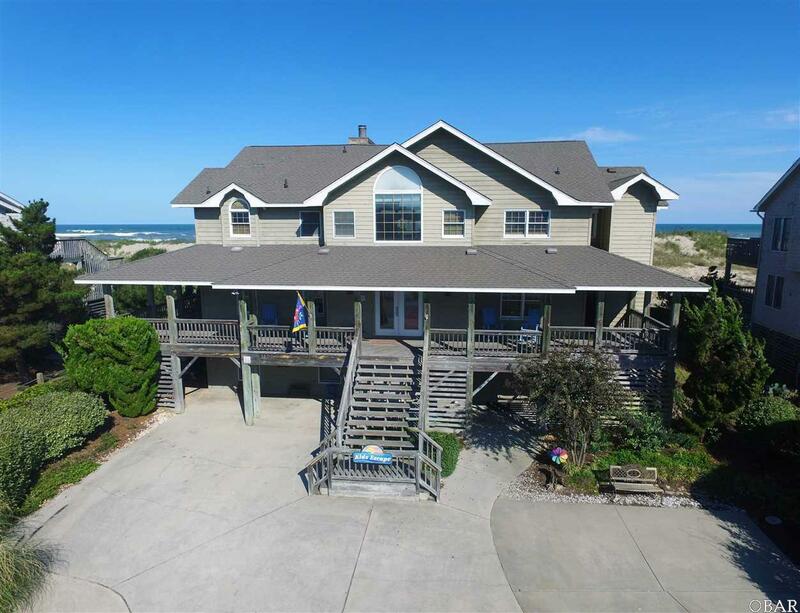 On the mid level, there is a king master bedroom with TV/VCR/DVD, ocean views and a whirlpool tub, a semi-private king master bedroom with TV/VCR/DVD, deck access and ocean views, a king bedroom with TV/VCR/DVD and a bedroom with 2 bunk sets with TV/VCR, full hall bathroom, deck access and ocean views! On the top level, there is a stunning king master bedroom with TV/DVD/VCR and a huge bathroom with vanity area and a whirlpool bathtub. 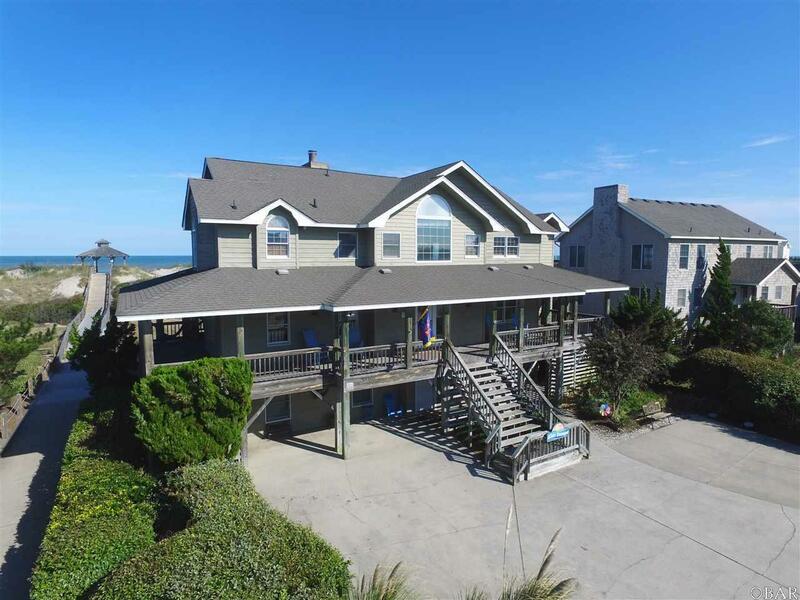 Spacious great room with gorgeous ocean views, gas fireplace, 52" TV plus VCR/DVD and a stereo system. Also features a brand new kitchen with 2 dishwashers and trivection oven, breakfast bar seating 4 and huge glass sunroom with ocean views, vaulted wood ceilings and deck access. A half bath is on this level. This home also has an elevator, large hot tub (10), 7 TVs, 7 VCRs, 6 DVDs (total); maximum occupancy of 12; high-speed wireless internet, video/DVD/book library, sun room, pool table, gas fireplace, charcoal grill, 2 refrigerators, Jenn-Air grill. This home seems to have it all. A TRULY MUST SEE HOUSE! !